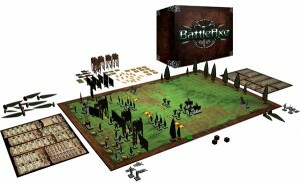 BattleAxe is a new strategy board game set in the Dark Ages that's up on Kickstarter and looking for funding. Kill the other player's King and protect yours at all costs! Use your superior tactical strategy to overcome the opposing forces and cut off the head of their army. With your army of axemen, spearmen, swordsmen, archers, armed horsemen and your trusty engineer, take down the other King and win the game. It is a timeless concept also used in Chess, but BattleAxe has almost endless possibilities and O' so many more options. Every time you battle you will experience something new.